Below are some quotes on problem solving. To know how to use and implement quotes into your everyday life and leadership I suggest reading: How to use Quotes. You can also get a free copy of my quote book Characteristics and Qualities of a Great Leader by clicking here. Problem Solving is one of the many topics in the book but most of the below quotes are not featured in the book. Questions: Can you add to the list? Which of these problem solving quotes is your favorite? Enjoy these quotes? Don’t forget to grab your free leadership Quote book by clicking here. I enjoyed you including the Robert Kiyosaki quote. Opportunity is a great way to describe problems/obstacles. That’s a good one. Thank you for reading and sharing. Any problem can be solved. But if you take no action and put forth no effort you will always be stuck with the same problem. So the measure of success isn’t about money or anything else. It’s about how much progress you have made over time. This quote is so perfect. That’s a great one! It’s about learning and becoming better through the different seasons of life, the main goal is to not keep learning those important lessons. Thank you for adding to the discussion. Love that second quote, Floyd. Like the first one too, for that matter. Yes, I do:) Those are great and wise quotes. Thanks for sharing them. I like the thought of “making your problems line up…” It just puts a different perspective on who’s really in charge of the problem, me or the problem. That one really stuck out to me as well. Thank you for adding to the discussion. Thanks bro! Glad you enjoyed them. It’s a great one. Thanks for reading and commenting. So I guess that means we need to get a different perspective? Rohn and Peale are two of my all time favorites! Thanks for the motivational kick Dan. Glad you enjoyed them:) Thank you for reading and commenting. I like Richard Bach, Peale, and Einstein the best. Those are good ones! Thanks for sharing your favorite ones. Glad you enjoyed the quotes! I really like the Brendan one, it’s a solid perspective. Thank you for sharing. Glad you enjoyed these quotes. Hope they spark your thinking and help you. No, I don’t have a blog, at least not yet. I mentioned over at “Stretched” the other day that my feet are firmly planted in the”thinking about blogging” arena. If we would only view problems as potential we’d be more eager to face them head on. I’ve read the Einstein quotes before and really like them as well. That’s a good one, we just need to remember that when facing problems. Thanks for reading and sharing. I’m not sure if it’s a “problem solving” quote, but I’m partial to – You can’t make a positive change with a negative attitude. By yours truly. I’m a big fan of Abraham Maslow’s quote “If you only have a hammer, you tend to see every problem as a nail.” that you posted. That’s a great one Ellory, I totally agree! Having a positive attitude is so essential. It’s a great illustration. Thanks for reading and adding to the topic. Maslow’s is one of my favorites as well! “The worst use of time is to do very well what need not be done at all.” I did not find the original attribution, but I heard this first from Brian Tracy. Ya, that’s a great one. Thank you for sharing it. Jon, that’s an awesome quote! Let us know if you find the original attribution. What a varied list of folks you have included, Dan. Great thoughts can come from lots of places, eh? Love the Voltaire one: “No problem can withstand the assault of sustained thinking.” So True. They sure can:) That’s a good one. Thank you for reading and commenting. Whenever I think about what my dad said it always gives me hope and encourages me to keep pressing on and looking for a solution. I think my dad was such a great problem solver and fixer because he had so much experience and he never gave up. Problem solving is a skill and with time and experience we can all become better at it. I really like that play on what sounds like a familiar quote, but actually is much more meaningful! I’m glad you shared that with us Caleb. Great words of wisdom. “Never giving up” is so essential. Thank you for reading and sharing. Great passage!!! Thank you for sharing and adding it. Glad you enjoyed them Mike! Dan you know the first quote on the list is my favorite from Jim Rohn. I know I will eventually expand my horizons just beyond Jim Rohn Quotes but he is my mentor what can i say. Great quotes, here and in your Book. HA:) I thought you would enjoy that one. Thank you for reading and sharing. What a wonderful set of quotes, my friend! What the above tells me us is to make a problem bigger if we can’t find a solution. Indeed, by making it bigger we increase the scope to find a solution. This is brilliant! Glad you enjoyed them Hiten:) That’s a great one! Thank you for adding to the topic. with, but whether it is the same problem you had last year.”. well said! Glad you enjoyed the posts! That’s a good one. Thank you for reading and sharing. People tend to love to talk about problems, expecially their own, rather than doing something about them. May we all be a doer of the words and not a listener only. Thank you for coming over to read the quotes. Hope you enjoyed them. Do you have a blog? Harlan Cleveland’s quote is a good one. That’s a good one! Thank you for sharing. I enjoyed these quotes and it is difficult to select a favorite. 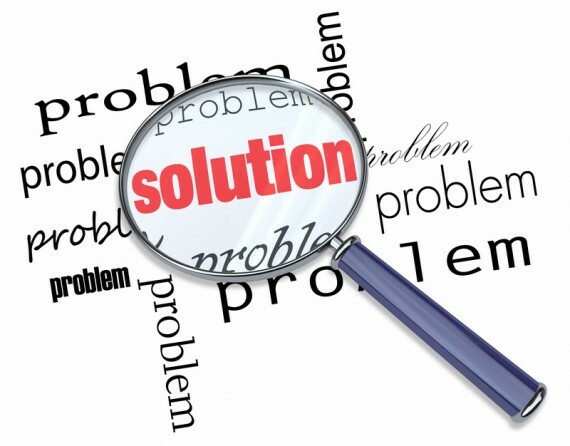 This one is good – “Most people spend more time and energy going around problems than in trying to solve them.” ~Henry Ford I find when I have a problem – it is best for me to sleep on it and by morning I have a better view of what to do. That’s great advice, Hazel Moon. Thank you for reading and adding to the conversation.